With the season of giving upon us, it's important for all of us to look out for each other and stay connected. I've learned, more than ever, how important those two points are through my work with Wish of a Lifetime (WOL). I am fortunate to work closely with our seniors and I continue to be inspired by their strength, wisdom and bright outlook, even in the face of challenges. Since 2008, Wish of a Lifetime has granted over 1,400 Wishes to seniors across the country. Many of these are fulfilled thanks to our founding corporate sponsor, Brookdale Senior Living. With each new wish that we have granted, the more inspired we are to honor and learn from the generation of men and women who have experienced so much. This holiday season, I would like to reflect on some of our wishes that highlight the true holiday spirit - being with the ones we love. 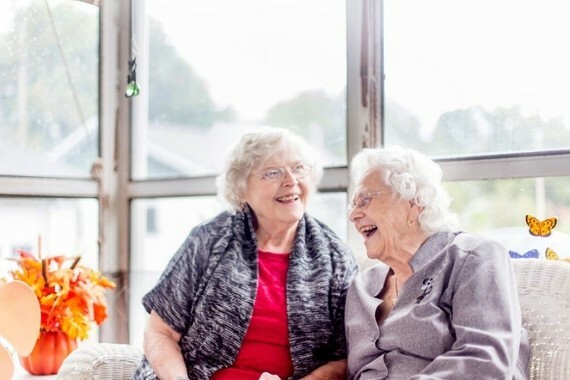 One of the wishes that I will never forget involves two seniors, 74-year-old Sherry White of Orlando, FL and 94-year-old Elma Robinson of Jamestown, Pennsylvania. The two had a very special wish in common. 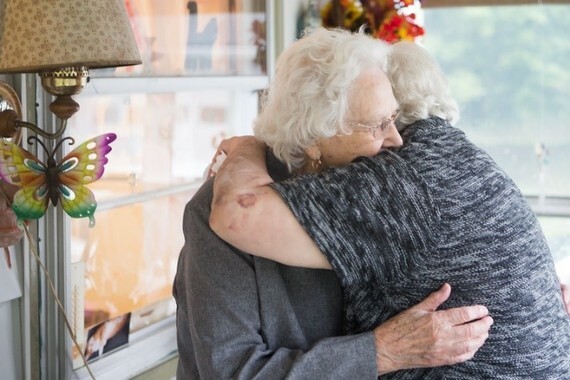 They wished to see each other for the first time in 20 years. The reason this meeting was so important for the two women, is because they are mother and daughter. Despite daily phone calls and care packages, health and financial constraints have made it impossible for Sherry and Elma to visit each other. Both said, "it would mean the world," to have the chance to finally see each other in person. Another wish that reminded all of us about timeless love was that of Dorothy and Sam of Greenville, Ohio. 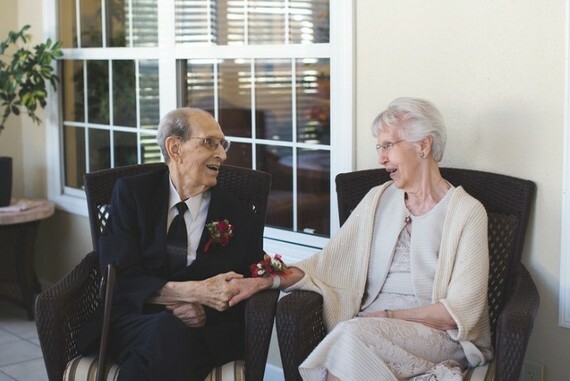 The couple met each other 70 years ago in high school. Dorothy was a drum majorette and Sam was an athlete. The story goes that after Sam met Dorothy, he leaned over and told his friend, "I'm going to marry those legs one day!" Before too long, the two were dating and Dorothy knew that she had found the one. 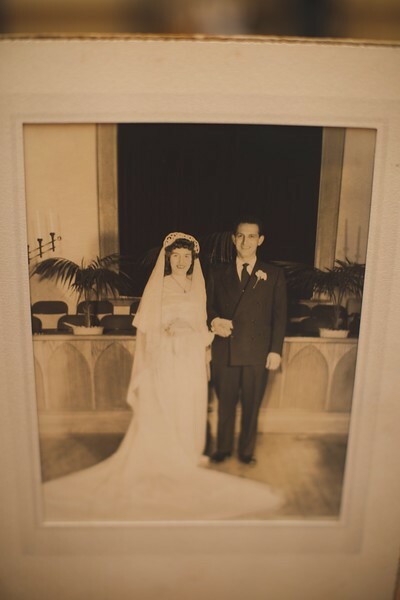 On February 3, 1950, Dorothy and Sam were married and have been happily married for 66 years. After being married for so long, it was Dorothy's wish to renew their vows. In November, WOL and Brookdale Senior Living helped grant that wish. The two finally renewed their vows in a special ceremony. Dorothy said that in the 66 years of marriage, the ceremony was one of their highlights. Both Dorothy and Sam reminded all of us that love endures and keeps us forever young. Finally, I was also inspired by Daniel Wenzlaff who is 103-years-young. 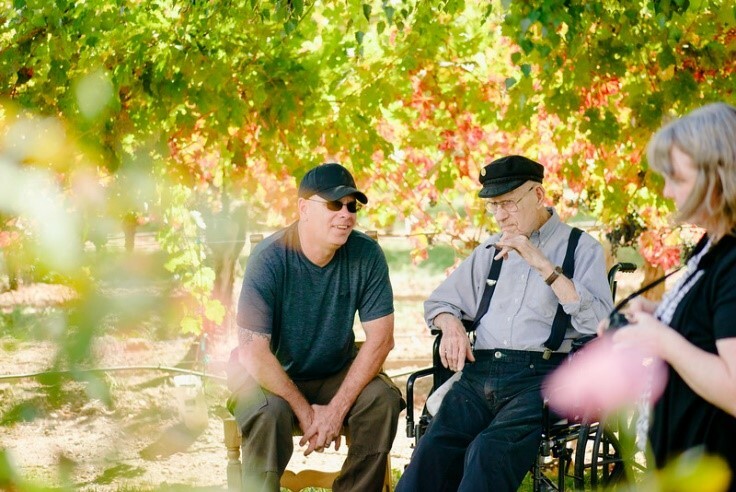 One of Daniel's favorite places in the world was his daughter's vineyard in the Napa Valley. 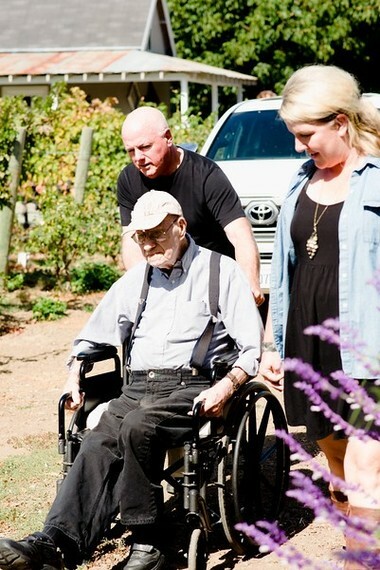 Since he first visited 45 years ago, Daniel and his late wife drove down from Seattle every year to visit, play golf, drink wine, and enjoy his family. Unfortunately, it had been 10 years since Daniel had the chance to visit. This was a place that held cherished memories with lifetime friends and family, and Daniel wished to see it one more time. Sherry, Elma, Dorothy, Sam and Daniel teach us what is truly important. Their wishes weren't about receiving money, or material gifts, but about having the chance to reunite with loved ones. It is these connections that truly embody the spirit of giving, and give us hope that this holiday season, as people come together to open their hearts for one another.